Multi Holsters KYDEX®™ holster orders are shipped using a CART TOTAL rate on all orders. US orders have the shipping option of USPS Priority with Confirmation Mail or by UPS, International orders are shipped First Class.For international shipping or inquiries regarding use of a different service, please contact us before completing your order. You can contact us via e-mail at multiholsters@yahoo.com or fill out our Contact Form with your comments or questions. All orders are shipped to the SHIP TO address on the order form. Multi Holsters holds no responsibility for addresses that are entered incorrectly. Please check your information before completing the checkout process. 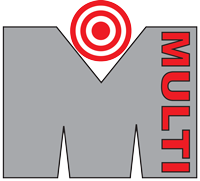 At this time, MultiHolsters.com ships merchandise to locations within the United States and U.S. territories, including Alaska, Hawaii, Puerto Rico, Guam, and the US Virgin Islands. **PLEASE NOTE: All turnaround time frames are approximate, and may change due to sudden influx of orders. Shipping length is determined when item leaves our facility, not Shipping Method. Additionally, MultiHolsters.com ships merchandise to Canada and Mexico, but not to other international locations. The risk of loss and title for all merchandise ordered on this Web site pass to you when the merchandise is delivered to the shipping carrier. Orders are shipped using a CART TOTAL rate on all orders. MultiHolsters.com only ships merchandise to locations within the United States and U.S. territories, Canada, and Mexico at this time. *ELITE QUICK SHIP ITEMS ONLY* – 15 days from Date Received: “No Questions Asked” Return Policy is offered if you find it does not work for you. Shipping cost is NOT REFUNDABLE. *ELITE QUICK SHIP ITEMS ONLY* – 15 – 30 days from Date Received: “No Questions Asked” Return Policy is offered if you find it does not work for you, but a **15% restocking fee** is charged against holster subtotal price. Shipping cost is NOT REFUNDABLE. 31+ days from Date Received: Returns not accepted except for warranty repair service. We do not refund any shipping cost, returns are shipped at purchasers expense. If we at MultiHolsters.com made a mistake we will refund shipping for the most basic shipping through the post office only (this is at the discretion of MultiHolsters.com). Any completely custom holster purchased, which is defined as “any holster that requires a phone order due to options not being offered on the website for normal purchase” is NON-REFUNDABLE and NON-RETURNABLE unless first approved and authorized by Multiholsters .